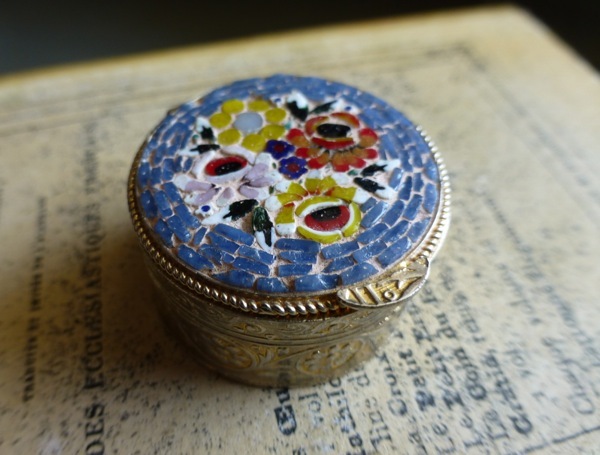 Beautiful vintage small Italian mosaic box. 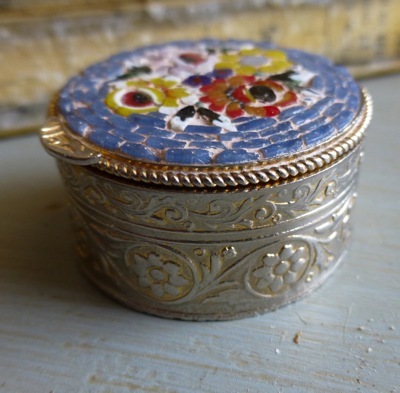 Measures 1-1/4" in diameter and is 1/2" deep. Gold washed and stamped "V.Villani ~ ITALY" on the inside.